You are here: Home / Art / Gay Paris! Paris, the city of lights, seduction, mirth and madness – just when you think you’ve understood her sultry pout she changes visages and saunters off, cloaked in the balmy summer night’s air, turning for one, final, lusty stare that drives you mad! The year is 1890; the place is the Butte Montmartre, Sacre Coeur, Place du Tertre and Paris is swinging! 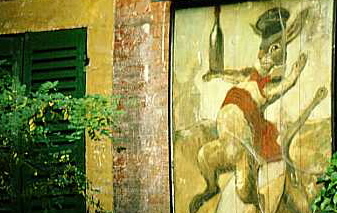 The cabarets with their raucous, end-of-the-century, Absinthe-soaked soirées are exploding with delirious revelry. Matisse is here, so too is Pisarro, Monet, Renoir, Degas, Toulouse-Lautrec and everyone who is anyone. Van Gogh is inspired to paint La Guinguette using the terrace of the café, Aux billiards en bois to adorn his canvas. Picasso immortalizes the hill and one of its exhilarating, avant-garde cabarets with his celebrated painting, Au Lapin Agile. Ah, the Impressionists, the Pontillists, the poets, raconteurs and the masters of 19th-century abstract provocation and prose! How the great cultural edifices of Paris – le Musee d’Orsay, la Sorbonne and l’Academie Francaise embrace their vision lifting a serenade of their unique voices into the night’s air from Sacre Coeur to the Seine! Fast-forward to the 21st century: Midnight in Paris, Monsieur Woody Allen’s charming film tapestry yet again reminded me of my love for this brilliant period of the city’s artistic voice and how something about these painters and writers and this time in Paris had years ago captured my imagination! Wine, of course, wine! Now, while Paris is not the first vinous reference that leaps to mind when this subject is tabled, I had a vague recollection that there was a tradition of winemaking in the French capitol and so on a recent visit to the city decided to delve a little deeper. 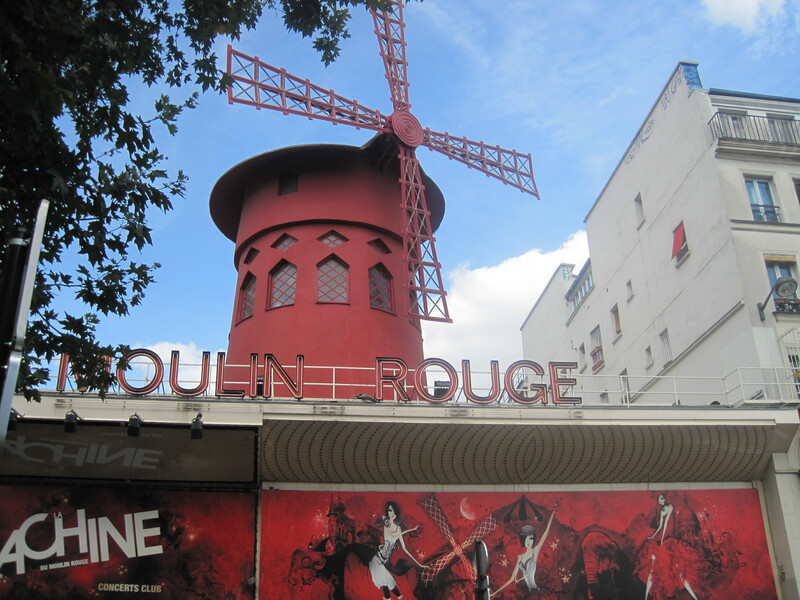 Le Moulin Rouge – bien sur! Like most of France’s great regions, Paris has tended its own vineyards for centuries and the capitol’s citizens unwittingly engaged in the laudable practice of vinous sustainability by consuming mostly the local offerings. 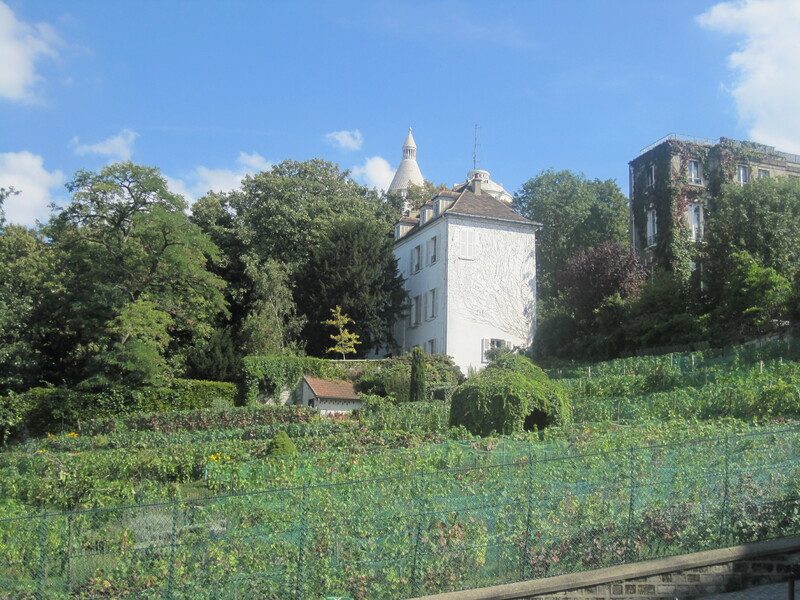 I remembered that on the slopes of Belleville in the eastern section of the city there were a few rows of vines (historically producing mostly white varieties as was the case in Montmartre) where many had once stood. At the same time, I recalled years before having been pleasantly surprised wandering the streets above Pigalle, behind Le Moulin Rouge at the top of rue Lepic, and stumbling upon several rows of vitis vinifera there as well. with the proceeds benefiting local charities. 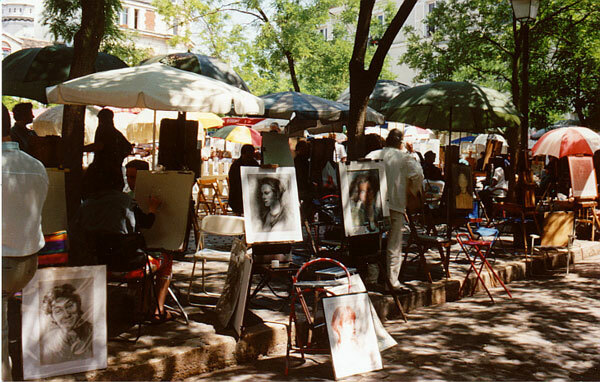 It is here, in the shadow of the Sacre Coeur basilica, that painters from around the world have come to show and sell their wares for hundreds of years. Our exchange proved brief and he, much like Lewis Caroll’s bedeviled (dare I say “harried”) time-keeper seemed late for a very important rendez-vous. I thanked him wholeheartedly for his insight and could not seem to extinguish my giddy smile at the happy coincidence of having been able to direct my questions about this historic vineyard that sat silently gazing at the Lapin Agile at one of its time-honored guardians. Before I walked away I closed my eyes and could almost picture (excusez-moi) Renoir and Matisse stumbling out of that quaint little cabaret only to find Picasso, seated amidst the vines, mumbling that if he could ever find it within himself to exit the establishment before Frédé began buying drinks, he would someday decorate a canvas with the Lapin Agile as its subject! Maybe I’m just a bit too impressionable! « Calvados – of apples, not oranges! Super boulot! Continue comme ça. Le plus Parisien des San Fransicains ! !Amoureux inconditionnel de notre beau pays tu forces le respect! Peace Man !! !